After almost two years of delays, Hamad Medical Corp.’s Wakra Hospital officially opened today with a ribbon-cutting ceremony by Qatar’s Emir. Some parts of Qatar’s eighth and newest hospital, including the outpatient departments, opened in May, but the building became fully operational today (on 12/12/12). Healthcare officials have expressed hope that the six-floor hospital, which has 210 beds, will be utilized especially by Wakra residents and those living in the southern part of Doha, thus taking some of the strain off of HMC’s overcrowded General Hospital. “This is a hospital that has been designed, built and staffed with the changing needs and expectations of the growing community it serves at the center of its operation,” Dr. Hanan Al Kuwari, managing director of HMC, said in a statement. 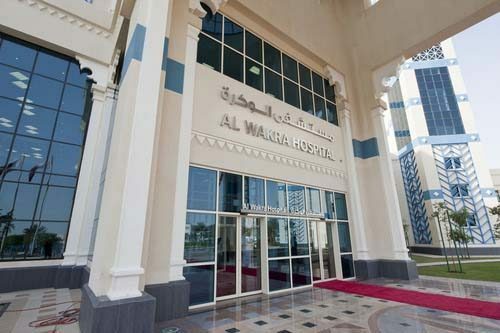 The 130,000 square meter Wakra hospital, which has been estimated to cost some $508.1 million (QR1.85bn), is equipped with the latest technology and includes the following departments: emergency (for both adults and kids); cardiology; endocrinology; obstetrics and gynecology; orthopedic; dental; and ophthalmology, among others. A “See and Treat” unit for workers is also expected to help lower wait times due to too many patients in Hamad General Hospital’s emergency room. Construction on the project began in 2007. Ashghal was supposed to hand the hospital over to HMC in June 2010, but turned it over at the end of the year, pushing back Hamad’s initial early 2011 opening date to the end of last year. Further delays prompted the hospital to fully open now, a year from the last estimated date. Thoughts on the new hospital?